When we met with The Eagle at Barrow our brief was refreshingly simple; create two brand new, clean, contemporary websites that reflect both aspects of the business. So that’s exactly what we did. When creating a website for a restaurant it’s important the design reflects the look, feel atmosphere and personality of the venue. You want people to get a realistic impression of what to expect, before they have even arrived. 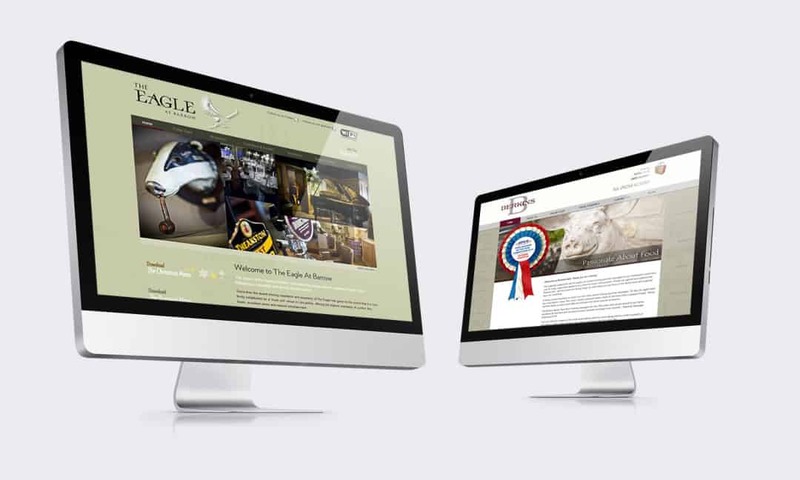 Our digital team created two unique websites for both The Eagle at Barrow and Berkins Deli. The Eagle at Barrow site offers visitors the very latest in seasonal menus and events, special offers and live entertainment, enabling their team to efficiently inform their loyal customers what’s coming up. The Berkins deli site also features an online shopping platform, allowing their customers an easy way to order from a selection of firm favourites to enjoy in the comfort of their own home… always delivered fresh!